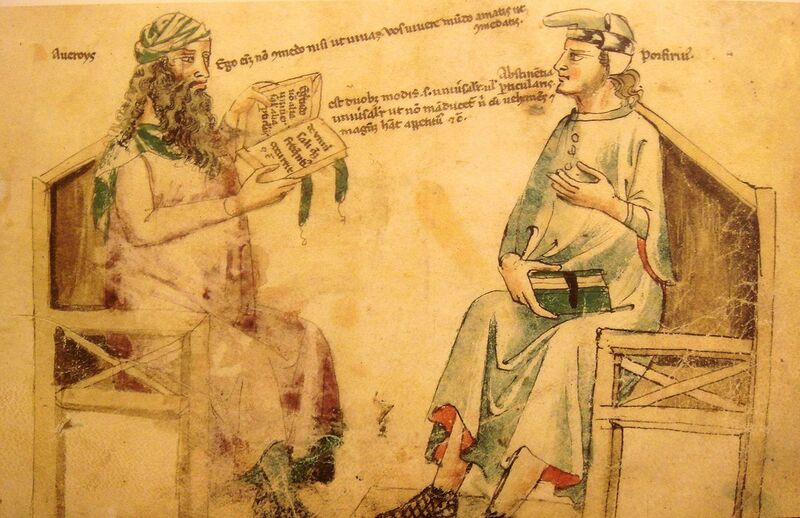 On this day in 1126, ʾAbū l-Walīd Muḥammad Ibn ʾAḥmad Ibn Rušd, better known to western Scholastics as Averroes, was born. In addition to writing short and long commentaries on Aristotle’s logical and physical works, he also wrote defenses of Aristotelian philosophy, as well as other, non-philosophical, works. His ideas significantly influenced medieval Jewish and Christian philosophers for centuries following. I wonder, is it too early to start planning a 900th centenary conference? This entry was posted in Uncategorized and tagged Averroes, Sara L. Uckelman. Bookmark the permalink.